Most visitors to Yogyakarta in Indonesia will no doubt make a beeline for the ancient Buddhist and Hindu temples of Borobudur and Prambanan – but there is a lesser known attraction within the city that is well worth a visit. 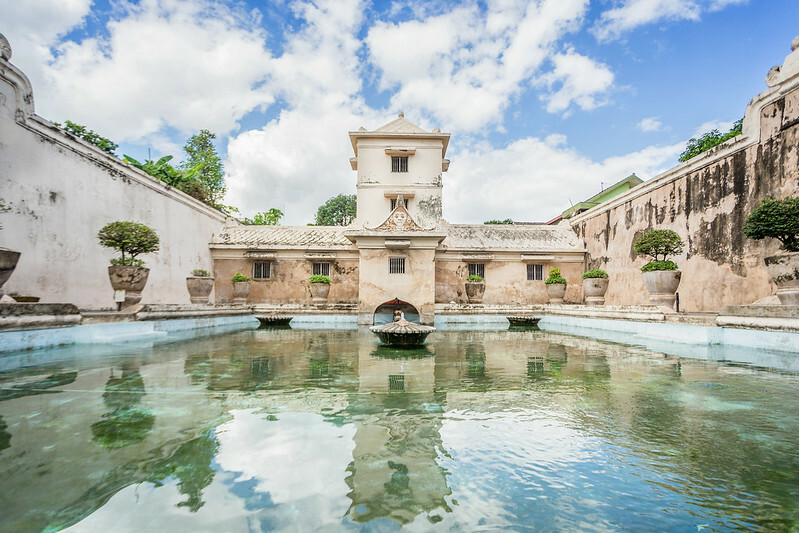 Located just a stone’s throw away from the Kraton (palace), Taman Sari (literally, beautiful garden) is an 18th century royal garden – once the leisure grounds for the old Sultanate of Yogyakarta. 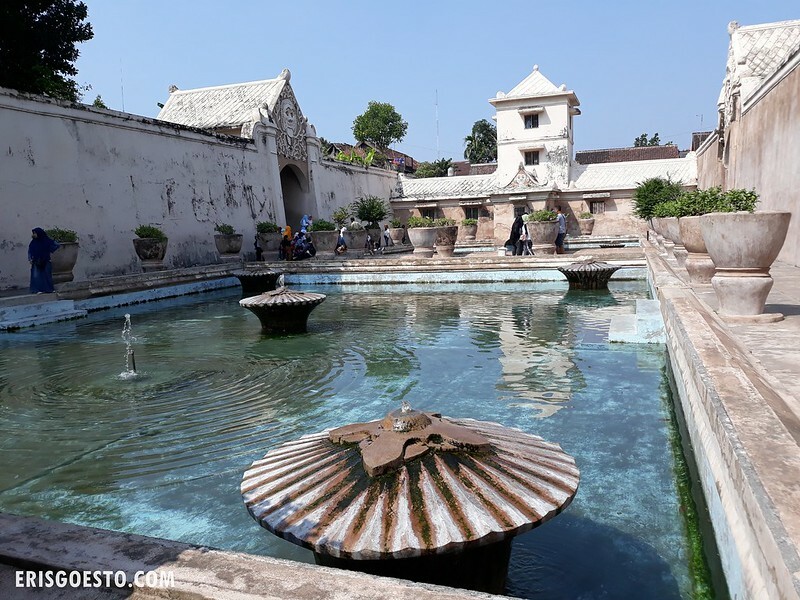 Spread across a large area, Taman Sari was also called the Water Castle, as its main complex featured a man-made lake – complete with artificial islands and buildings, which the royal family could reach via boat. The water has since been drained, and replaced with clusters of homes. 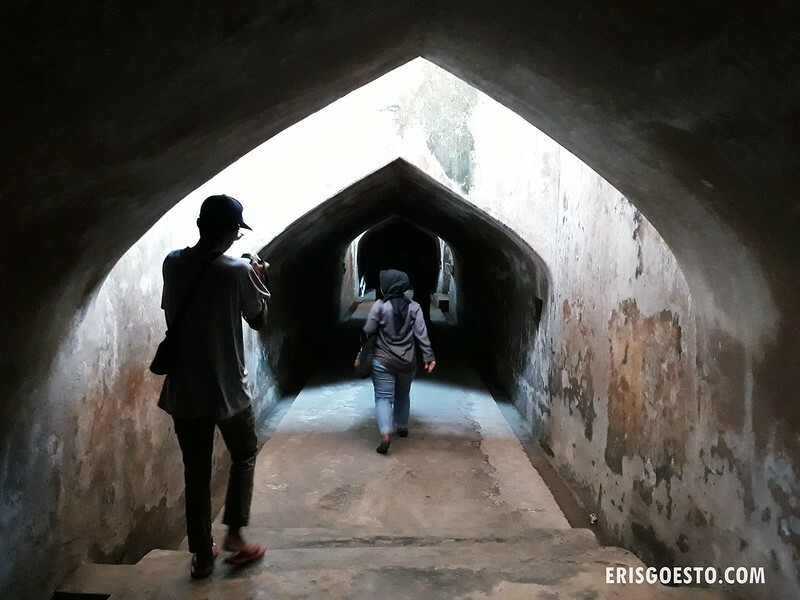 The East entrance (where you pay a fee for entry) might not seem very impressive, but venture in and you’ll discover meandering pathways, secret underground chambers, defensive structures and a well-preserved central bathing complex called Umbul Pasiraman, which is very popular with tourists. … and for good reason. The story goes that the complex was used by the palace concubines and serving women, where they would bathe and frolic in the pools. The Sultan would be up in the tower, observing, and if one caught his fancy, he would pick her as a companion for the night. It’s easy to imagine how the scene would have looked like back in the day – the turqoise pools, the calming stone and greenery, the blue sky reflected in the water, the beautiful maidens. Moving on, we ventured past the West gate, which is more intricate than the east, decorated with floral motifs, foliage and birds. **From this point on, it is highly recommended you get a guide from the village (which is within the chateau grounds), as the layout is extremely confusing. You might just end up wandering into dead ends, on a roof, or someone’s backyard lol. The guides are ‘volunteers’, and you’ll find many of them loitering around the area. They have a minimum fee (can’t remember how much exactly but I think it was like RM20-30) but you can pay more if you’re satisfied with your guide. Your guide will most probably take you through Kampung Taman, which are settlements within the royal gardens. There are about 2,700 residents living within the grounds. 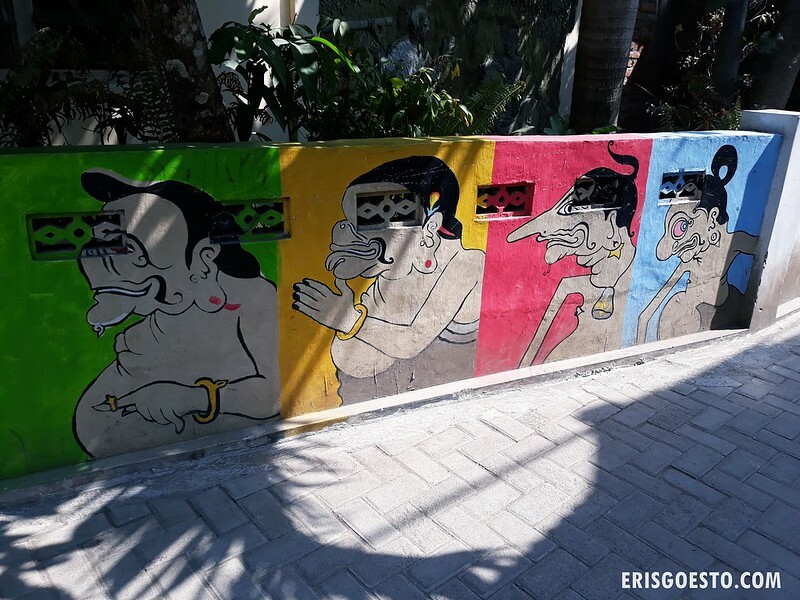 The narrow alleyways often feature colourful graffiti with a local flavour, like these Javanese characters. Some of the structures are already in ruins. Our guide led us up to a vantage point where we could see over the roofs of the settlements, which stretched out a fair distance. Traversing the labyrinthian complex through underground passages, we search for another photogenic area – the Sumur Gumuling underground mosque. Natural sunlight filtered in through strategic gaps, illuminating the otherwise dark tunnels. The mosque is, imo, one of the most unique areas of Taman Sari. A circular one-storeyed structure, it used to sit on an artificial island (before the lake was drained), and could only be reached via an underwater tunnel. 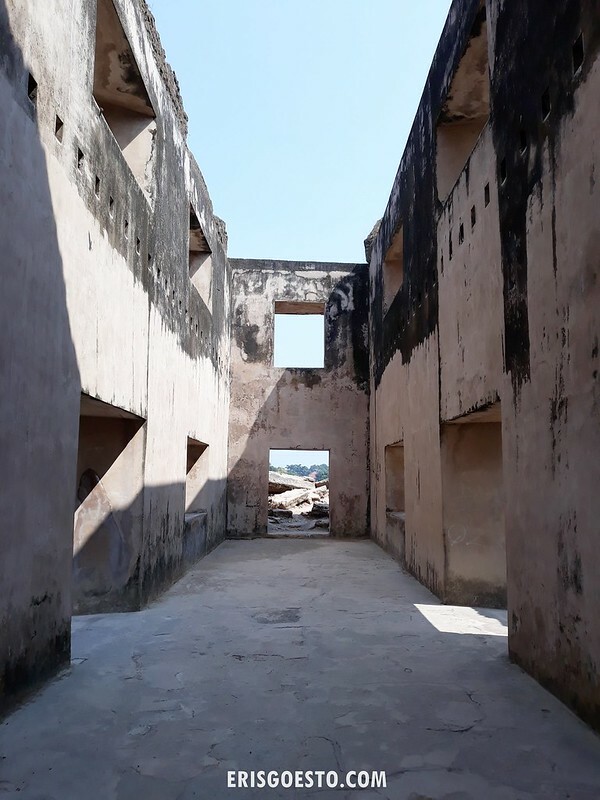 The building was open in the middle, similar to a well (hence the name ‘Sumur’ (well in the Javanese language) and featured an elevated platform with four staircases, as well as various ‘windows’ surrounding it. The imam (religious leader) would stand in the center to give sermons. 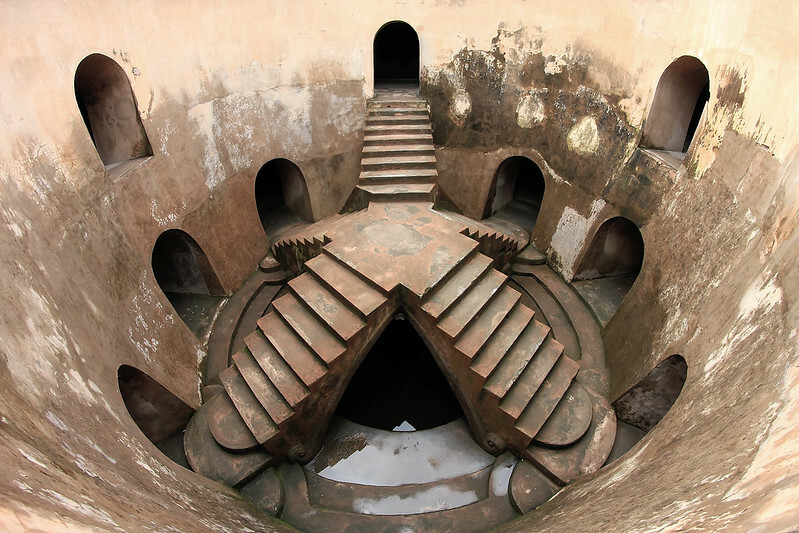 There is also a pool on the ground floor which was used for ritual ablution. 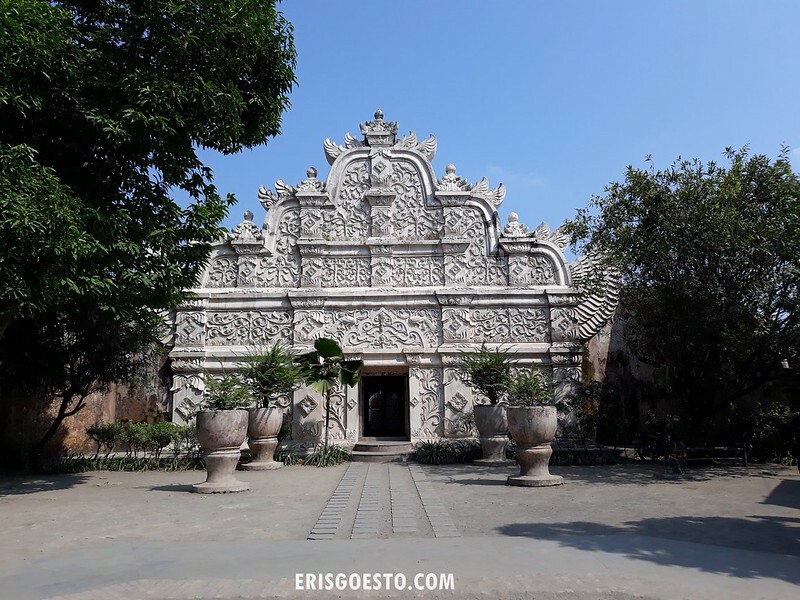 It is entirely possible to explore Taman Sari without a guide, if you like wandering and discovering things on your own – but the mosque area is notoriously difficult to find. We certainly would have missed it if not for our guide. 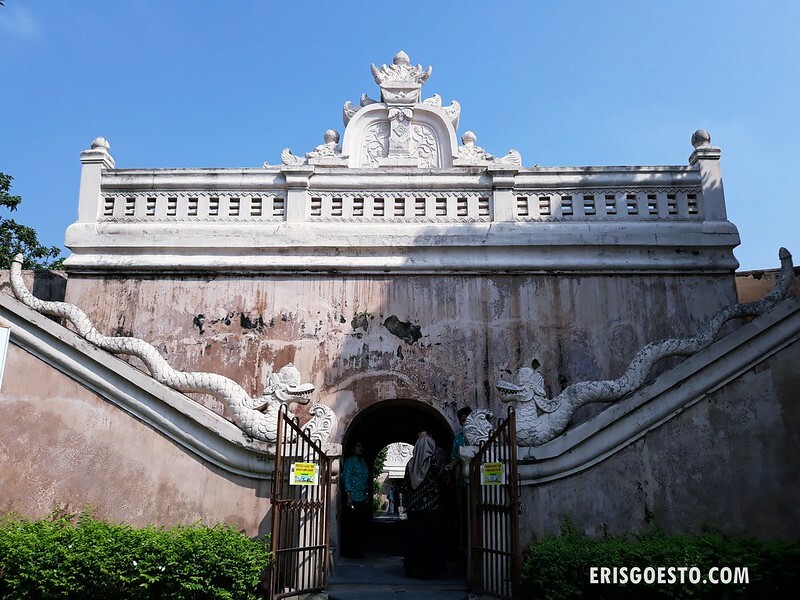 Entrance to Taman Sari is a cheap IDR 15,000 (USD 1.50 – RM6).